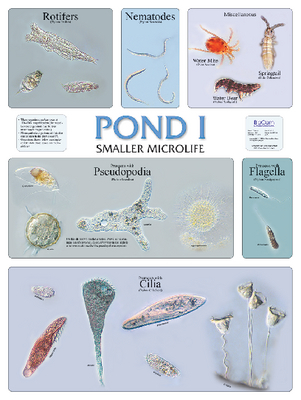 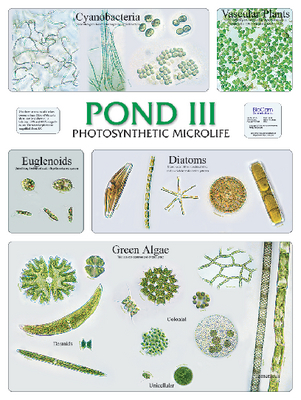 Each chart shows a different selection of a ponds microlife. Pond I: Small microlife like rotifers, nematodes, ciliates and pseudopods. 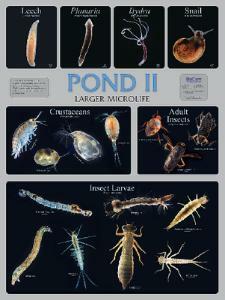 Pond II : Larger microlife like insect larvae, crustaceans and insects. Pond III: Photosynthetic microlife like cyanobacteria, diatoms, and green algae.